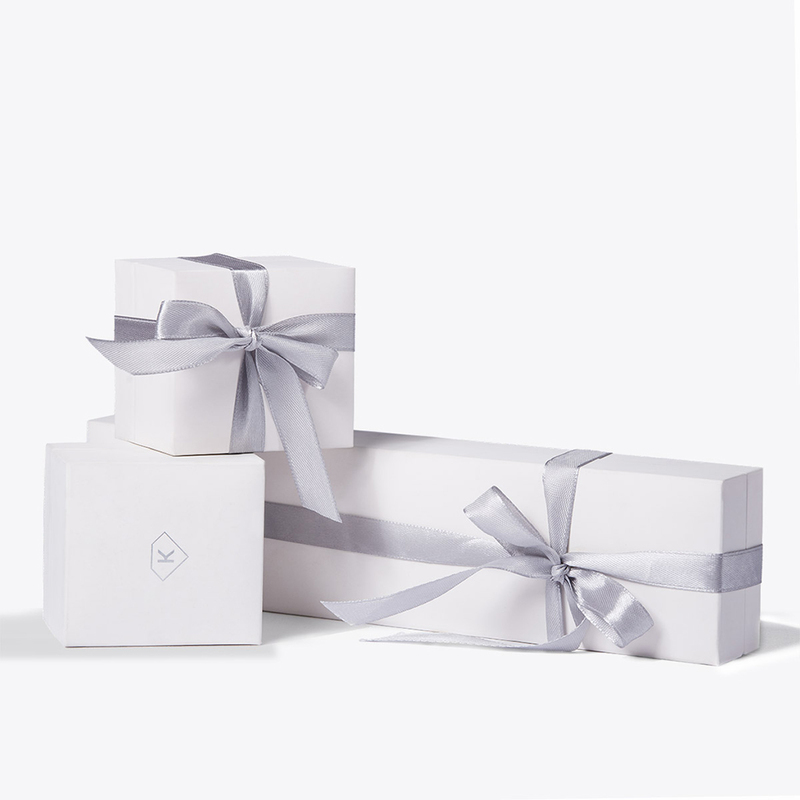 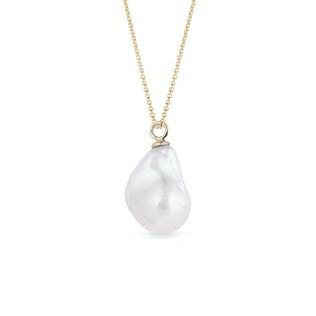 A gorgeous, delicate pendant that is sure to turn heads. 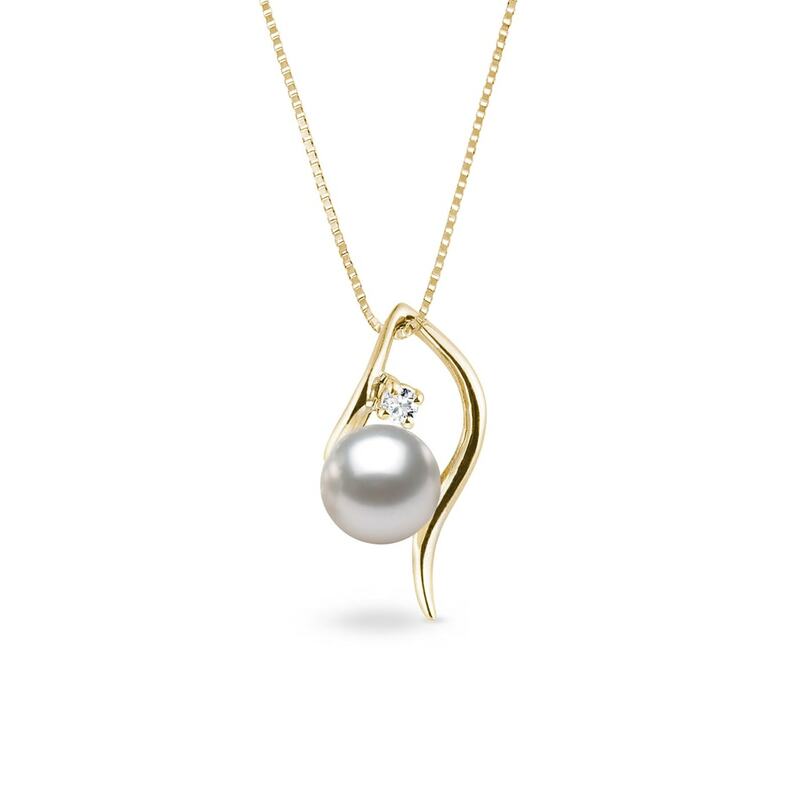 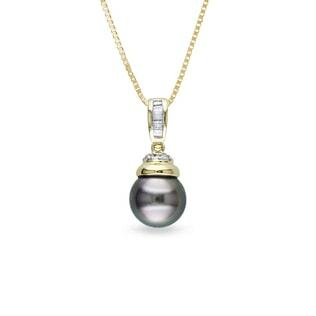 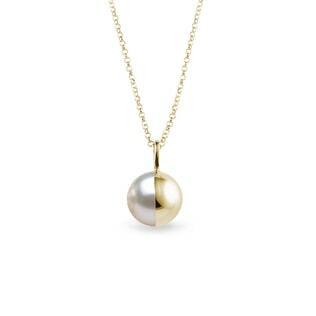 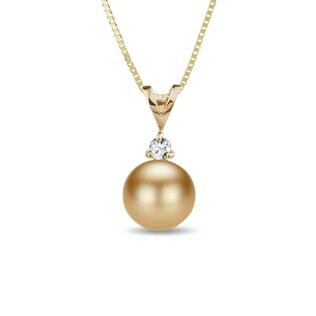 This pendant is crafted in classic 14kt yellow gold with gold strokes that drift down and cradle a stunning Akoya pearl. 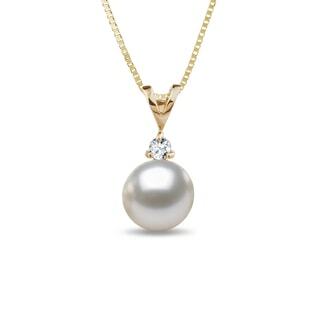 The beauty of the pearl is accentuated by a sparkling white diamond.